I arrived in Paris yesterday, and went to my favorite open air market - Avenue du Président Wilson - this morning. 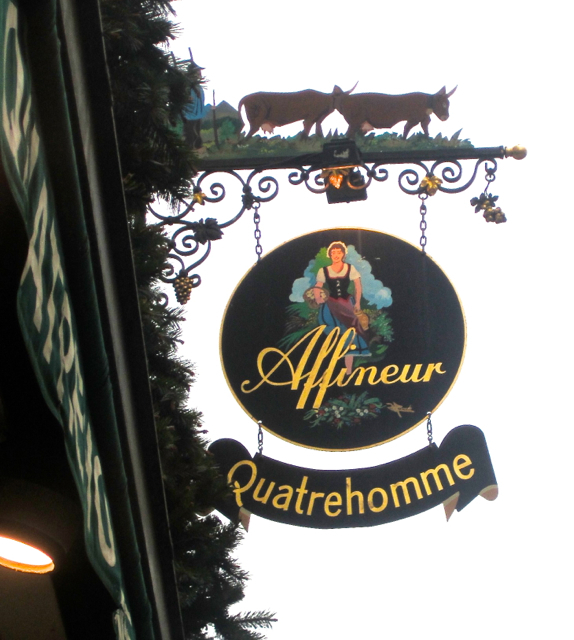 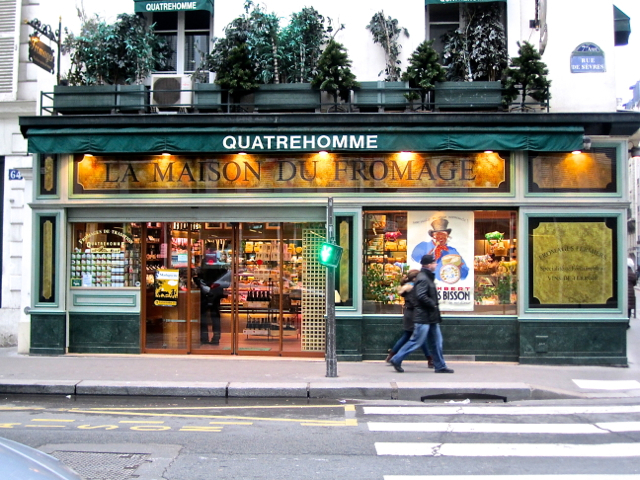 Despite the many temptations, I resisted the urge to buy cheese (well, except an Italian peppered pecorino and some mini-scamorzas) because I planned to go to Marie Quatrehomme's fabulous cheese shop on Rue de Sèvre in the afternoon. 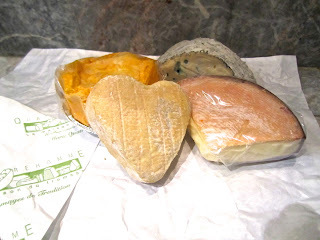 How I love this shop, which I have written up before! Since I am alone, I only bought four cheeses (and probably won't finish any of them), but they still make an impressive haul: a coeur, a slice of mont d'or suisse, a slice of fourme d'ambert and a langres.